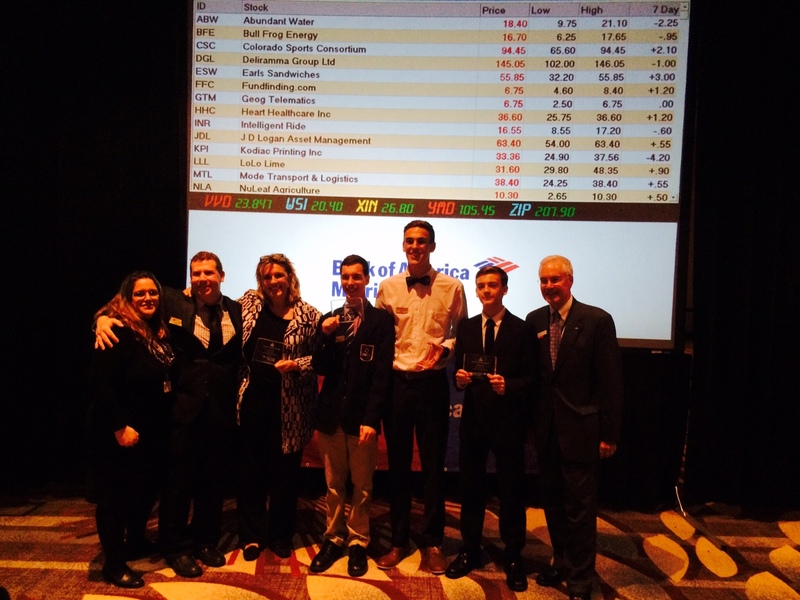 More than 70 teams from Hampton Road’s public and private high schools competed in a game of stock market knowledge. Virginia Beach’s own, Advanced Technology Center (ATC), was home to the wining team. ATC’s Bradley Creamer, Eric Sobotta and Nathan Strasburger bought and sold the winning combination of stocks as they competed to have the highest net worth at the end of the 60-minute challenge. Each minute represented one day for the players as they raced against the clock to battle rising and falling stock prices and breaking news market reports. Pictured here are Dr. Sara Lockett, Technical and Career Education Coordinator; Kevin Wills, President of Junior Achievement of Hampton Roads; Kim Creamer, Advanced Technology Center Instructor; Eric Sobotta, student; Bradley Creamer, student; Nathan Strasburger, student; and Charlie Henderson, market president of Bank of America. Congratulations to the Advanced Technology Center’s Marketing Management team! A very exciting day for the Marketing Management @ Town Center students! A great day of teamwork!! What an exciting day for these students! Great work using your best teamwork skills and stock market knowledge!! Well played!